You can recommend an InterNACHI Certified Professional Inspector® to inspect the home before the buyer’s inspector is hired. Your client can assist the inspector during the inspection, something that’s not typically done during a buyer’s inspection. This can streamline the inspection process and give your client confidence in the condition of the home you’re helping them sell. Your client will have the opportunity to correct any misstatements in the inspection report before it’s generated and distributed to prospective buyers. 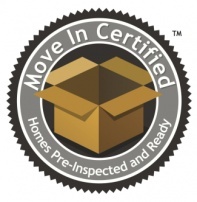 The Move-In Certified™ inspection report can be used as a marketing tool that goes beyond the seller’s disclosure. This kind of forthrightness is a great way to help sell the home and engage in a low-stress transaction. The inspection report can help relieve a prospective buyer’s unfounded suspicions and concerns before they walk away from an otherwise great deal. A Move-In Certified™ seller inspection report helps eliminate “buyer’s remorse” that can sometimes occur after the buyer’s inspection. With a pre-listing inspection, the facts are up front and there are seldom any new issues or surprises by closing. The deal is less likely to fall apart the way they often do when a buyer’s inspections reveals unexpected problems at the last minute. Armed with the information a professional report will provide, you can make your decision with confidence!